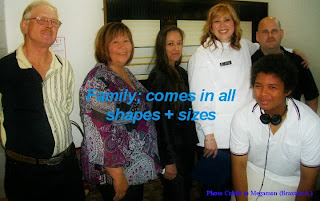 The reason I used this picture to talk about family is because it was one of the best pictures I could get that had many multiply members of my family. I wanted to show how different we all looked. For example the 2 people closest to the right are my grandparents and in the middle is my mom standing beside my aunt. I always found it interesting how different my aunt, my mom, and my uncle (not in this picture) looked. Which is always a personal reminder that family really does come in all shapes and sizes. I also added some visual effect to give a nice glow to it. Like those Christmas cards you see around the holidays that give you that merry feeling. I am Braxton Anderson AKA "Megamon1996".I play Jungle in League of Legends and I've Mained the role for almost two years. I have lots of experience and knowledge in it along with the other roles in the game. If you have any questions on how to become a better player feel free to leave a comment/message on my youtube channel, or message me while I am streaming.